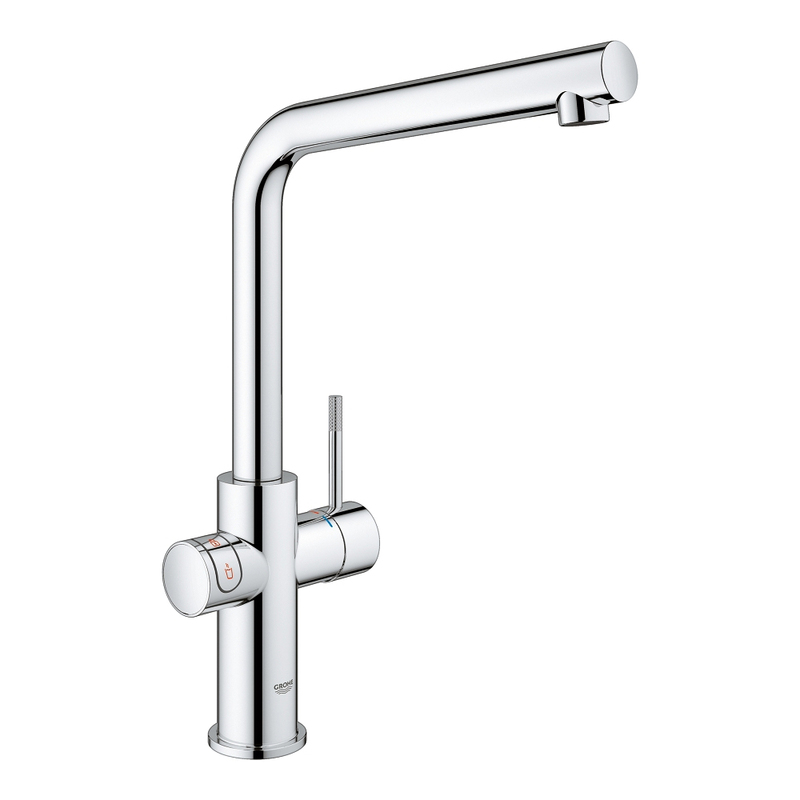 The Grohe Red Duo Tap comes with a L shaped spout and had a swivel range of 150 degrees and is finished in StarLight chrome. 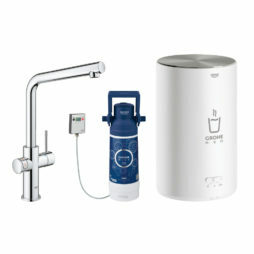 The supplied boiler can instantly provide up to 3 litres of heated water. The Grohe Red range is the ideal time saver for a busy life. Instantly delivering hot water heated to 99 degrees, perfect for making tea and coffee and for filling saucepans for rice, pasta and vegetables.